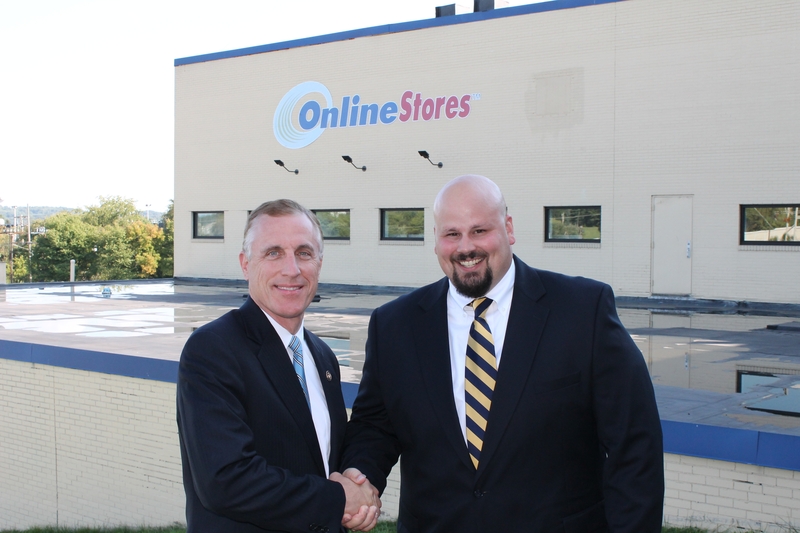 Online Stores, Inc. welcomed a visitor of congressional proportions. 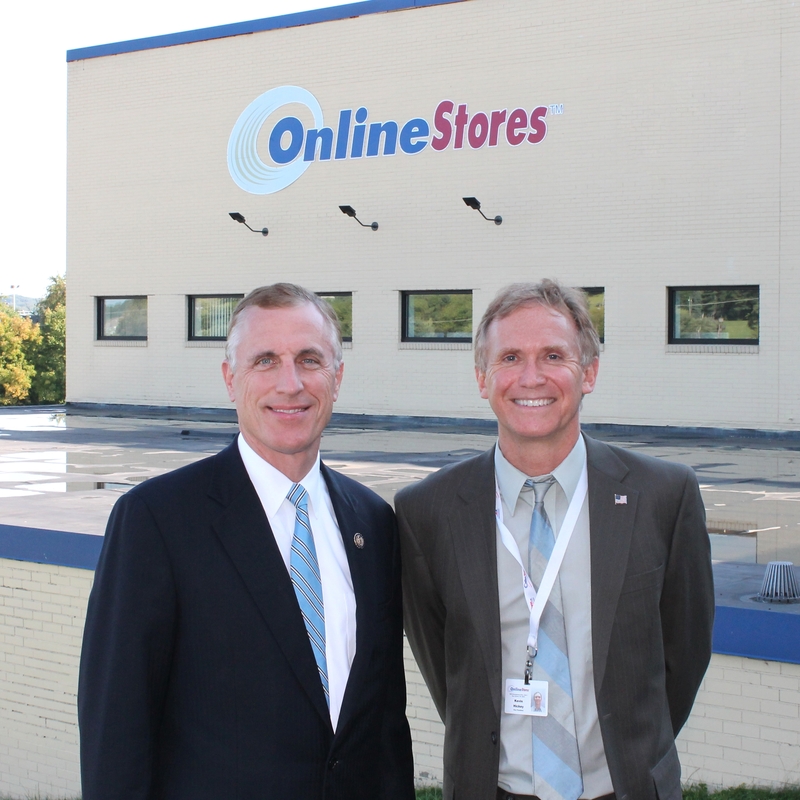 PA District 18 Representative Tim Murphy stopped by Wednesday, September 5, 2012 to tour the offices and warehouse, as well as meet with CEO, Kevin Hickey, to discuss the Marketplace Equity Act. Congressman Murphy and his Deputy Chief of Staff, Lou Lazzaro, were anxious to meet with constituents and see a business in their district that manufactures some of the products that they sell. Both gentlemen showed a keen interest in the pad printing area (where custom logos are printed on hard hats) and the flag production section. After the tour, Mr. Lazzaro and Congressman Murphy sat down with Kevin, Vice President, John Gilkey, and President of Operations, Brian Cerra to discuss the proposed Marketplace Equity Act. H.R. 3179: Marketplace Equity Act of 2011 would authorize states to require all sellers making remote sales to collect and remit sales and use taxes with respect to such sales into the state, without regard to the location of the seller. To get news about what Congressman Murphy is working on and what is going on in our local area, sign up to receive his newsletter on his web page.